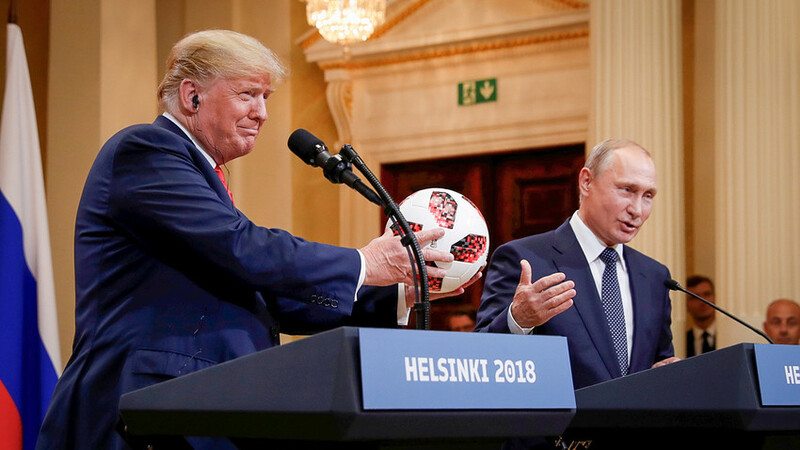 For the last week, American media, politicians and Internet users have been debating whether the soccer ball which Russian President Vladimir Putin has presented to President Trump is a listening device or not. So, how did the story unfold before that? Senator Lindsey Graham tweeted ironically: “If it were me, I’d check the soccer ball for listening devices,” while NBC host Jimmy Fallon warned the president there might be an electronic listening device inside, just like the famous Great Seal bug. The jokes came out to be (partially) true – there actually is a device inside the ball. It’s not very well concealed, though, as the Near-field communication (NFC) logo can be clearly seen on the ball. It comes with a transmitter chip embedded under the outer layer of the ball, and, as Adidas have explained on their website, allows players to access special information and games online after connecting and downloading an app. Adidas say the NFC tag cannot be modified and can only send information to an active device nearby, but not receive information. Apparently, the only country whose journalists seem to approve of the gift is… France, winner of the very World Cup tournament the gift was used to promote. French newspaper Le Parisien called the ball “the symbol of a new wonderful agreement,” while Le Point named it “the ball of friendship.” Sing when you’re winning. What was Putin's nickname at intelligence school?